I have been so crazy busy this week preparing for The Kiddo's Yo Gabba Gabba Birthday Party that I almost forgot to share a Thanksgiving funprint with you. 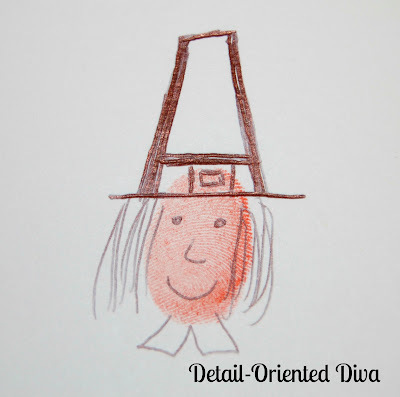 This pilgrim funprint is just one vertical thumbprint embellished with hat, hair, face, and collar. 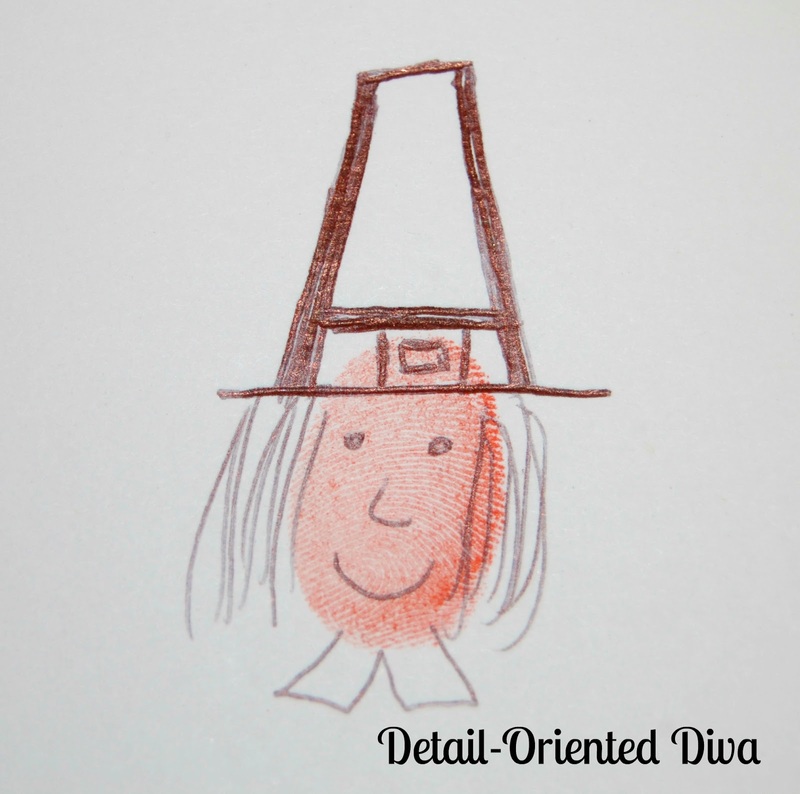 I hope you enjoy this super-cute craft with your kiddos. This funprint inspired by Ed Emberley's Complete Funprint Drawing Book. So cute! Those would make adorable placecards at the Thanksgiving table. What a great idea! Thanks Randi!